One of the item in Agenda was upcoming CCIE Written & Lab exam policy update which I think good to know for every CCIE candidates. As per that there are few policy changes will takes place starting on Cisco’s next financial year (ie Aug 2014 onwards). Here are some of the key highlights in those policy changes. At the moment candidates who fail their written exam must wait 5 calendar days before they can take the written exam again. According to revised policy, candidate must wait 15 calendar days before re-taking the exam. Also, currently there is no maximum re-takes for a written exam. But according to new policy maximum number of attempt for written exam limited to 4 attempts per year. As per the current policy, a candidate must wait 30 days prior to re-take the CCIE Lab exam & it does not vary depend on which attempt you are taking. According to new policy this waiting time vary depend on the number of failed attempts. Which means if you fail CCIE lab first time, then you can go for the 2nd time with 30 days wait. But for the 3rd attempt you need to wait 90 days since your 2nd lab date. If you are going for 6th time, then you need to wait 180 days from your 5th lab attempt date. Currently a reread can be requested only for Routing & Switching lab exam or Service Provider lab exam. This involve another proctor load your configuration & completely re-mark & if they found any discrepancy & you have earned passed mark you will get successful outcome. For any other tracks no option of doing any re-evaluation. According to new policy, Cisco will introduce a “Review Policy” for other tracks. You can request for review your exam result through CCIE Online Portal. It will involve a 2nd proctor to verify your answers any applicable system generated debug data saved from your exam. As per the current policy, you cannot re-schedule a CCIE lab exam if you are within 90 days for your scheduled exam date. According to new policy you can reschedule the exam even within 90 days period, but for a fee. 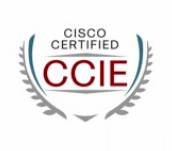 If you are a CCIE with 10 years & your CCIE status become inactive (due to not fulfilling every 2 year re-taking a CCIE written exam) , Cisco will give you a one time opportunity to make your CCIE status active & move onto Emeritus Status where you do not want to re certify it in every 2 years. To do that you have to obtain “Cisco Business Transformation Certification”. Yes it is a new certification. I know you may have many questions or clarification required around these points.Cisco will publish all these information on their website & you can contact them if any clarification required.